After falling to Seton Hall in the Wooden Legacy Championship, the Hurricanes extended their losing-streak to three games. The Rutgers Scarlet Knights defeated the Hurricanes 57-54 Wednesday, Nov. 28 at the Watsco Center as a part of the ACC/Big Ten Challenge. Ebuka Izundu started off the contest strong notching his third double-double of the season with 12 points and 12 rebounds. However, the senior center battled leg cramps and left the game early. 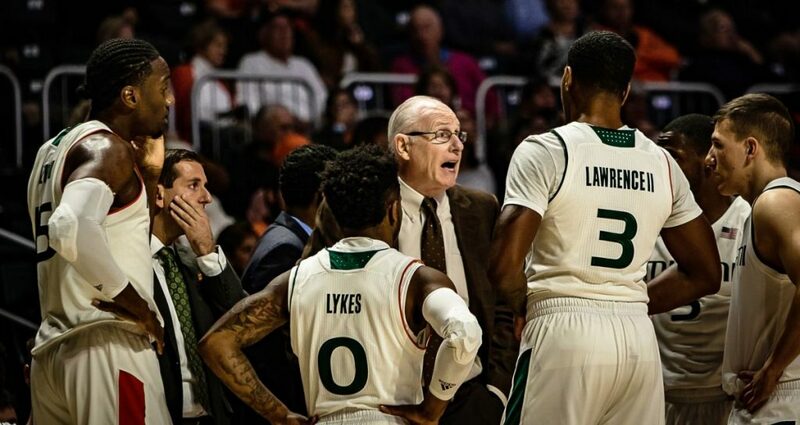 Miami shot a season-low 33.8 percent with leading scorer Chris Lykes notching just eight points on 3-of-11 shooting. Senior guard Anthony Lawrence II registered a team-high 16 points and chipped in eight boards. 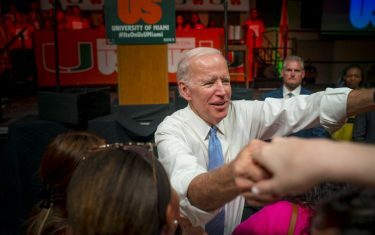 Saturday evening, the Hurricanes were upset by the Yale Bulldogs 77-73 at in the Hoophall Miami Invitational at the AmericanAirlines Arena. Miami squandered a 15-point lead and ultimately failed to score in the final 3:21. Miami (5-3) couldn’t contain Yale (3-2) guard Miye Oni, who finished with a career-high 29 points on 10-of-15 shooting. Senior center Ebuka Izundu led the way for the Hurricanes with 19 points and nine rebounds. Junior guard DJ Vasiljevic added 17 points, including four 3-pointers. The Hurricanes will look to get back in the win column against the Penn Quakers 7 p.m. Dec. 4 at The Palestra. The No. 21 Hurricanes were able to split a pair of game against the Purdue Boilermakers and the Colorado Buffaloes. Miami lost its second road game of the season, losing 74-63 Thursday, Nov. 29 to Purdue in West Lafayette, Indiana as part of the ACC/Big Ten Challenge. Oden scored a career-high 27 points for the Boilermakers and hit six shots from behind the arc. Senior Emese Hof tallied her second double-double of the season, recording a season-high 25 points and 14 rebounds. The Hurricanes bounced back with a dominant 73-58 win over the Buffaloes Sunday, Dec. 2 at the Watsco Center. Guard Laura Cornelius made four 3-pointers in route to a career-high 26 points in the victory. Forward Beatrice Mompremier contributed 15 points and eight rebounds. Miami (7-2) will continue its home stand against the New Orleans Privateers 1 p.m. Dec. 9. at the Watsco Center. The Hurricanes scored 467 points at the Bruno Invite on the Brown University campus. Miami was led by freshman Zorry Mason, who finished with three victories, including a school-record in the 200-yard IM twice. Mason’s official record-breaking time was 1:58.92. The Hurricanes will compete at the USA Diving Winter Trials from Dec. 16 to Dec. 21 in Atlanta.